Where Can I Sell My Office Furniture In Houston? Do you have office furniture in Houston that you intend to get rid of? There are different options you can explore. If you want to be charitable, there are a number of organizations that will willingly receive them as donations. Finding such organization may take some time and taking it to them will definitely involve some costs. You can also decide to contact a recycler or a company that offers old furniture removal and disposal services to handle the entire process for you. It normally involves some costs too. If you have office furniture in Houston that you want to get rid of, you may want to explore other options asides from the ones discussed above. This is the best thing to do if you want to realize some money from the used office furniture. Instead of giving your used office furniture away or inviting a recycler or disposal company to take them away, you can actually sell them. You may not know it but there are lots of individuals and businesses that will willingly buy your used office furniture. Finding these individuals may be a little hard which is why this article has been written to help you. Even when you have a way of contacting few individuals to buy your used office furniture, there is no assurance that they will buy them at a fair price. Here, we will discuss the different options you have including the one that makes the most economic sense. Placing ads in local newspapers is a traditional way of selling used office furniture but it works even today. Houston TX has a number of local newspapers that sell classified ad space at different prices. You can buy an ad space and place your old office furniture for sale. Asides from print newspapers, you can also buy online space to advertise the furniture you intend to sell. There are several websites and blogs that will also sell you ad space. If your business has a good website and you don’t mind, you can even advertise your old office furniture there. While this method has been around for decades, it still works. The only problem is that it may take too long for your furniture to sell. Some buyers may also price them at ridiculous prices especially when they feel you are desperate about getting rid of the items. It is even possible to spend so much in advertisement that the money you will realize from the sale will barely offset the money you spent trying to sell it. Craigslist ads is another easy way to sell your used office furniture. Unlike in similar websites like eBay and Amazon, purchases in Craigslist are usually made by locals. There are also lots of people that specifically browse through the website for used products. This means you are more likely to find individuals or businesses from Houston that are willing to pay for your office furniture. You just need to ensure that you set up your ad well to make the process smooth. Setting up your ad on Craigslist should be easy. You need to take photos of your inventory and upload them. It is important that you take high quality and detailed photos for the ad. While setting up the ad, it is important that you provide every important information. Specify if you are willing to deliver the furniture or if the buyer should be ready to handle that. You can decide to let different buyers contact you individually and inspect the items when they want or to hold an open house or garage sale. The first option can be rewarding but you have to be ready to answer so many questions. Holding an open house/garage sale is less stressful as buyers inspect the furniture simultaneously and bid for them. There are businesses that are interested in used office furniture and will pay handsomely for them. This is unarguably the best way to sell your office furniture in Houston. In Houston, just like in several other cities, there are several of such businesses. Finding the best one to deal with should be your priority. It is important that you find a company that will buy your office furniture directly and sell them independently. There are several advantages of working with businesses that buy your office furniture directly. For a start, they offer the fastest means of getting rid of your used furniture. You don’t have to advertise to get their attention. Once you know how to contact them, you should be certain of selling your office furniture as fast as possible. However, the majority of the businesses that offer this service also offer a range of other services including office furniture recycling services, commercial moving and relocation services, and office planning and design services. So many of them also sell new and used office furniture. You will have no problem changing how your office looks as they can take care of your old furniture and supply new ones as soon as possible. There you have it! Above are a couple of tips for selling your office furniture in Houston. At times, trying to dispose your used office furniture in Houston can be quite tough. It may take you some time to get a broker, dealer, or liquidation company to purchase all the furniture. Anytime you need to sell your office furniture in Houston, always turn to Clear Choice Office Solutions. We are the perfect fit to get the job done. At Clear Choice Office Solutions, we specialized in providing excellent, top class, office furniture solutions. We are experts in selling all kinds of used or pre-owned office furniture pieces including tables, chairs, cubicles, cabinets, and many more. Our services are affordable, detailed and transparent. We will ensure that your pieces are sold at the best value. Our experts will be available to speak with you and discuss the options available to you. We guarantee you excellent services that give 100% complete satisfaction. There are different reasons you may want to liquidate your office furniture. For many businesses and organizations, the need for liquidation seldom arises. It may arise only when the company is relocating. Also, when a business is growing, it may become necessary to change things a bit by bringing in new furniture to compliment the new status; this normally implies that the used furniture will be liquidated. Regardless of your reason for office furniture liquidation, it is important that you work with a reliable office furniture liquidators in Houston. This will make it a worthwhile experience. Although, there are other ways to get rid of used office furniture in Houston. However, liquidation is the smartest option and it will be smarter when you work with a reliable company. In Houston, just like in other cities, there are different businesses that offer office furniture liquidation. It is important, therefore, that you approach hiring carefully to avoid failing into the hands of those that won’t give you the experience you desire. Here, we will discuss how you can find reliable office furniture liquidators in Houston. The internet has made it a lot easier to find businesses around us. It is easier for individuals in Houston TX to find relevant businesses near them offering whatever services they want. Though you can enquire from those you trust about the office furniture liquidators in Houston, going online and investigating thoroughly will yield better results. By simply doing a Google search, you will find several businesses that offer furniture liquidation services in Houston. Most of these businesses have websites and it is important that you go through their websites to learn more about them. If you are interested in a reliable liquidator, you shouldn’t just pick any random business. It is important that you consider different businesses before picking the one to work with. List a good number of the businesses that popped up in your search result and dig deeper by browsing through their websites. Check the history of the business and those running it. It is important that you consider the range of services offered by the office furniture liquidators in Houston you are considering to work with. Most of the businesses you will find are likely to offer a range of other office-solution services in addition to office furniture liquidation. It is better to work with such businesses since you may need other services too. While looking at the range of services offered by the different businesses you are considering, take care to note the business that offers other services you need. If you are relocating, for instance, it is likely that you will also buy new furniture and move some important items to your new location. Find a business that also sell new and used office furniture and offers commercial moving and relocation service. This is only an example; consider other services you need and work with a company that offers them in addition to furniture liquidation. It is important that you consider the type of clients your prospective office furniture liquidators in Houston work with. If you are a big business and choose a business that handles furniture liquidation and office solution services to small businesses, you risk encountering some difficulties along the road. If, on the other hand, you are a small business and choose a business that works with big businesses only, you will likely pay more than you should have paid if you chose a business that works with businesses of your kind. There are several office furniture liquidators in Houston that cater for a wide spectrum of clientele. Look through the website of each company to see if they specified the sorts of businesses they work with. If this is not specified, enquire from them directly before deciding to choose them. This can influence your experience more than you can imagine. It is important that you get some references from your prospective office furniture liquidators before entrusting your project into their hands. It is also important that you follow these references up to have an idea of what to expect when you work with the company. No matter the size of the business you are considering, do not be afraid to ask them for references. Confident companies will readily give you references and encourage you to contact them. When you eventually contact the references given to you, it is important that you ask relevant questions. Find out from them how committed the liquidators were and how they handled other relevant services. Ask about their overall experience and ask if they will recommend them to you. It is not okay to base your decision only on the recommendations from the references you were given. You can find out more about the company you intend to work with by reading online reviews provided by their previous customers. Do not consider only the reviews featured in their websites. You can head to third-party review websites like Yelp to see what those that have used their services in the past are saying about them. Avoid any company with lots of negative reviews. Also, read the reviews to see the positive things about each company and their failings too. When you need office liquidation services in Houston, it is important that you work with a reliable company. We have discussed some of the most important things you need to do to choose a reliable company here. Follow the tips and you will have a better experience. 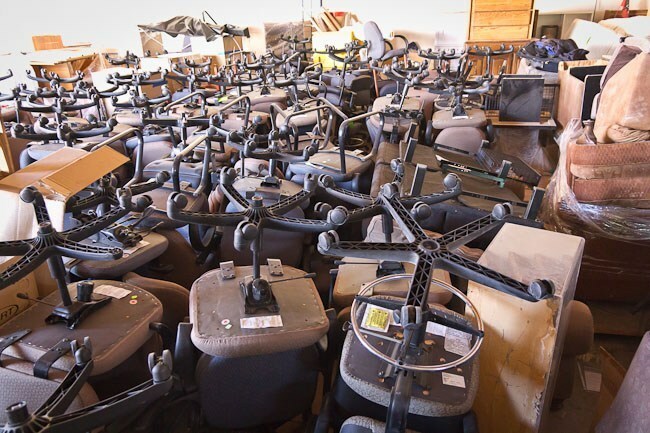 Are you planning to liquidate your old and unused office furniture in Houston? Contact us today at Clear Choice Office Solutions. Our services are affordable, reliable, and detailed. 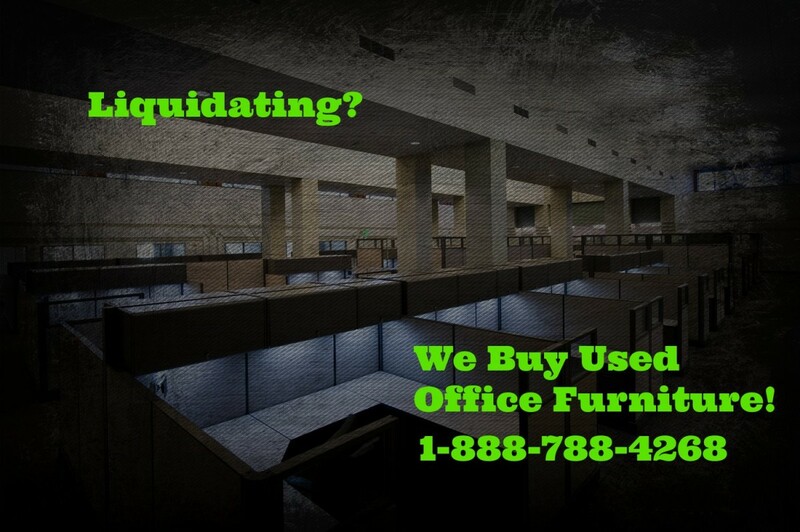 You can always count on us to safely and efficiently liquidate your old and unused office furniture. Our expert team will be available to speak with you to discuss the office furniture liquidation options available to you. We will provide suitable answers to your questions and concerns. We are one of the best office furniture liquidators in Houston that always guarantee excellent and unparalleled services. An enjoyable liquidation experience awaits you. When it comes to a productive office, everything matters. The office furniture, for instance, is an integral part of the office. It will determine the level of comfort everyone in your organization enjoys as well as the impression you will make in the eyes of partners, clients and/or customers. Choosing the right office furniture in Houston, Texas, is, therefore, as important as picking out the right office space in the city. Whether you are buying furniture for a brand new office in Houston, Texas, or you intend to revamp an existing office in the city, there are some factors you need to keep in mind. These are the factors that will ensure that the new furniture will not only make your office look good but will bring positive impact in different aspects of your business. This is the number one thing to do. The needs of the individuals that are going to make use of the office furniture should come before any other consideration. This is most important when you are designing a new office. Consider the roles of the different people that need the furniture and look for the furniture that will meet their needs. Depending on the nature of your business, it may be important to buy desks with cubicle dividers to keep each person focused on their individual tasks. In instances where your employees need to communicate and collaborate, a café-like atmosphere with huge table and few chairs may be more ideal. It is only when the specific needs of the users are considered and met that your furniture can help to improve workplace productivity. You don’t need to be told that you need furniture that are proportionate in size to your office space. When you have office furniture that are too bulky, a good amount of your office space will be taken and this will limit movement and freedom within the office. It will also have a negative impact on the overall appearance of your office space: a cramped office can never be aesthetically appealing. You may feel you can always pick out the right sizes of furniture even when you don’t measure things out. This doesn’t work for many that try. Before you go all out to buy office furniture in Houston, make sure you measure and plan the floor layout. Keep it in mind too that the desks and chairs are not the only items that will come into the office space. When you are certain of the dimensions and have everything planned out, you will avoid so many hassles. While it is important to get furniture that will fit into your office space, it is also critical that you get office furniture that guarantees comfort. You don’t want your employees to be uncomfortable in the workspace. Since they will be spending the bulk of their office hours using the furniture, they need to be comfortable enough. If they are comfortable, you can expect a happy and productive workforce. If they are uncomfortable, performance and workplace morale will be negatively affected. For office furniture that will guarantee employees’ comfort, look for the ones that are ergonomically designed. There should be enough leg space for every employee and the feel of the furniture must be nice. It will be helpful too if the chairs are adjustable to suit the height and size of different employees without compromising comfort. Buying office furniture is always a meaningful investment and you don’t want to be back in the market in search of new furniture after a little while. In our fast-paced world and business environment, businesses need to adapt to new technology from time to time. This means your office setting and layout may need to change a little bit from time to time. You need office furniture that can be reconfigured with ease to adapt to new demands in the workspace. While considering adaptability, you need to assess your business and the future of your office. If there are chances that more employees will be joining in the near future or you may need more machines than human in the near future, plan accordingly and invest in office furniture that can be easily reconfigured for the foreseen changes without total overhaul. Your office has to look great: this will inspire you and your workforce to feel great and reach for greater goals. It should also have something to say about your brand. While this can have a remarkable impact on the attitude of your workforce, it will be most important when you host stakeholders in your office. When planning your office furniture, consider the existing color scheme, fixtures and layout. Consider the walls, blinds or curtains also. It is always best when everything in your office is in agreement with your brand identity in terms of appearance. Cleanliness in the office space is another important factor that is hardly talked about when it is time to buy furniture. Many do not consider that the type of office furniture they purchase will influence how clean and tidy their office space looks. The type of material your office furniture is designed with matters a lot. A material that shows stain is not always the best option if you love your office to be neat at all times. It is also important that you buy office furniture that are easy to clean and maintain. While all the factors discussed above are very important, the type of office furniture you will eventually end up with will be significantly influenced by your budget. You need to start by listing everything you need and the quantities. Get approximate prices for the required furniture and work out a budget. Also make provisions for anything you might forget. Shop around, there are always great deals to discover. It is important, however, that you do not choose price over quality. Buying office furniture in Houston, Texas can be a daunting task. When approached the right way with timely planning, it will not be too challenging. The tips above can also help you to succeed and get the right furniture that will have the needed positive impact on your business. At Clear Choice Office Solutions, we specialized in providing excellent, top class, office furniture solutions. For several years now, we have been recognized to offer a wide variety of office furniture for several clients all over Houston, Texas, and nearby cities. Our services are well-detailed and highly professional. We can design and build to your exact specifications. 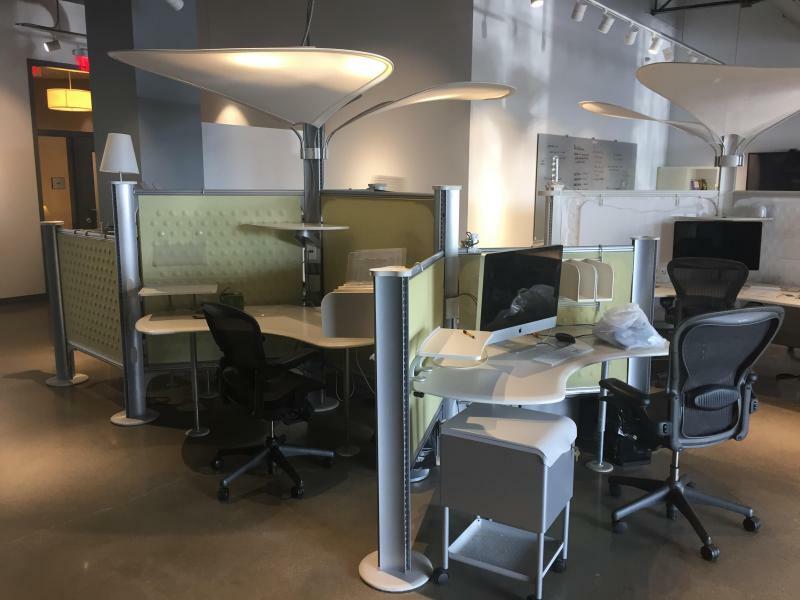 Our Texas showroom features all high-quality pieces of furniture, including chairs, tables, cubicles, cabinets, by the top manufactures likes Herman Miller, Steelcase, Allsteel, HON, KNOLL, and Teknion, all that can make your office look sophisticated and stylish. For more information about our office furniture solutions, contact us today at Clear Choice Office Solutions. Our expert team will be available to speak with you and discuss your options. With Clear Choice, you are certain to get exceptional services that give 100% customer satisfaction. Every work area needs an office chair. Whether it is a professional office space, a home office, or even if it’s a small work desk, a chair can provide you the comfort you need to be more efficient and productive at your work. Due to this, it is very important to buy quality office chairs in Houston, Texas, that will serve you excellently. A good office chair should provide adequate lumbar and pelvic support. This will help you achieve a better sitting posture, less fatigue, and improved comfort. However, buying a chair is a huge decision. There are lots of factors you need to put into consideration before making your final decision. If you understand user requirements as well as the available chair features, you will be able to choose the ideal office chair. Clear Choice Office Solutions, your reliable provider of high-quality office chairs in Houston, Texas, brings you a step-by-step guide to help you buy the ideal office chair. Before buying the office chair, the first thing to put into consideration is your needs. Office chairs come in a wide range of sizes and styles ranging from luxurious executive chairs to armless stools. Take a look at your office space to see the individuals that will be making use of the chair as well as the kind of work they do. For a home office, a basic chair with backrest and adjustable seat-height is perfect. You don’t need something complex since you will only be using the chair for only a couple of hours weekly. However, if the chair will be for employees that will spend between 8 and 10 hours daily at their computers, ergonomic chairs personalized to suit their work habits will be more appropriate. To help improve employee efficiency and productivity, the ultimate level of comfort is essential. Chairs with cushions are perfect to provide the needed level of comfort. The soft padding and upholstery materials will offer adequate support for the user’s seat and back. In addition, the cushion chairs also feature lumbar supports that will reinforce the natural shape of the human spine. This will help relieve lower back stress. The contoured part of the seat will support the legs of the user without blocking circulation. All these will make the user comfortable, thus, increasing efficiency and productivity. Most office chairs have a wide range of positional controls to accommodate individuals of different physique. The office chairs also feature 360-degree swivel bases that enhance freedom of movement. The chair should also have controls to lower or raise the seat to fit the height of the user. In addition, users that spend several hours working on the keyboard can opt for chairs with armrests. This will help relieve their shoulder and reduce wrist fatigue. It will also reduce the risk of stress-related injuries. Hence, ensure that you opt for adjustable chairs. These kind of chairs feature backrest height and angle controls, as well as the seat depth adjustments. This makes it possible for the chair to accommodate different individuals with different body types, height, and varied postures. When buying office chairs, it is also important to choose the seat with the right backrest. The majority of office chairs usually feature one of the three styles of the backrest – small, mid-height, and high backrest. Task chairs feature small backs that help support the lower back. They are suited for users that need to access file cabinets as they allow freedom of movement. What’s more, most ergonomic desk chairs feature mid-height backrests to provide extra back support for users. They are more suited for employees that spend several hours working. Executive chairs feature high backrests to support both the back and shoulders. Some models also feature headrests for added comfort. In addition, it is also important to consider the available space. An armless task chair will not be suitable for an executive office. However, it will be the ideal chair for a reception area that has limited space. Also, the chair must not take up too much space in the office. There should be enough space left to enable free movement. Lastly, when buying office chairs, it is advisable to purchase office chairs that encourage mobility. These kind of chairs feature casters which enable the user to move and reach drawers or files without any need to stand up. A high-quality office chair will have five equally spaced casters to ensure that the chair is stable when seated upon. However, if your office space has carpet or hardwood finishing, you can use a chair mat to protect the floors. There you have it! Above are some of the things you need to consider when buying office chairs. Once you understand your needs and the available space in your office, you will be able to make a more informed purchasing decision. Nonetheless, ensure that you choose an office chair that can be easily adjusted and will accommodate different types of body types and sitting posture. With this, you can improve productivity, efficiency, and comfort, while reducing the risk of stress-related injuries. Whenever you are in search of affordable, quality, durable office chairs in Houston, Texas, always turn to Clear Choice Office Solutions. We have a wide selection and variety of office chairs that feature different styles, sizes, and designs. Notwithstanding your preference, office setting, or budget, we have the ideal office chair for you. Above all, our office chairs are sourced from some of the leading brands and chair manufacturers including Herman Miller Aeron Chairs, Zody Chairs from Haworth, Steelcase Leap Chairs, and so forth. Our Houston, Texas showroom features a wide range of office chairs such as conference chairs, guest chairs, task chairs, lounge seating, and lots more. With our high-quality office chairs, you can be assured that your office seating needs are well catered for. For more information, contact us today. Our experts will be available to discuss with your needs and offer you a personalized solution. An amazing experience awaits you. The conference room is an essential part of every business establishment. This is where clients, partners, or associates meet to discuss business propositions, make presentations, and how to move the organization forward. As a result, it is vital to fit your conference room with unique pieces of furniture that will elevate the place. 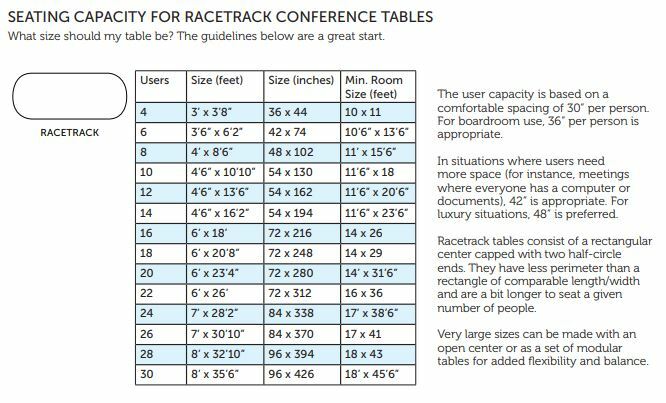 A primary factor to consider when choosing your conference table is the frequency of use. How predominately will your conference room or boardroom be used? What caliber of people will use the room or table? How many people will use it regularly? While a long solid wood conference table will be an ideal option for business meetings and discussions, modular conference tables are perfect for training purposes. Another thing to consider is the size of the conference room or boardroom. Here, it is important to understand that the table will be the focal point of the room. Hence, to ensure that the table fits perfectly, not too big or small, take an accurate measurement of the room. 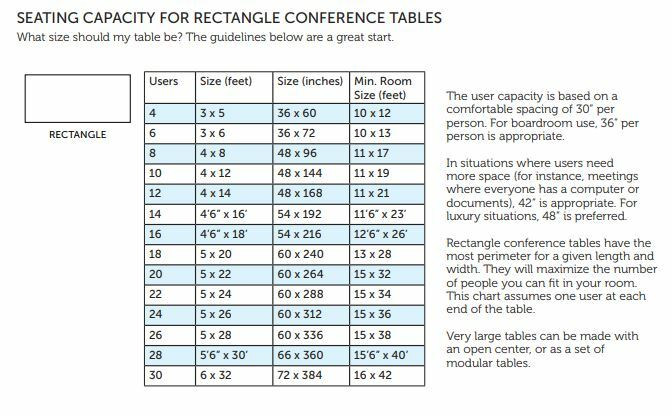 With this, you can get a table that uniformly fills the center of the conference room. However, ensure that you take into account other equipment that will fit into the conference room. These include presentation easel, credenza, lectern, audiovisual cart, projection screen, and so forth. Conference tables are usually about 60 inches wide and approximately 24 inches deep. The majority of manufacturers will offer your business the same style of tables. Although, the width, colors, and finishes may vary. Thus, offering you the opportunity to customize the table based on your preference or business needs. 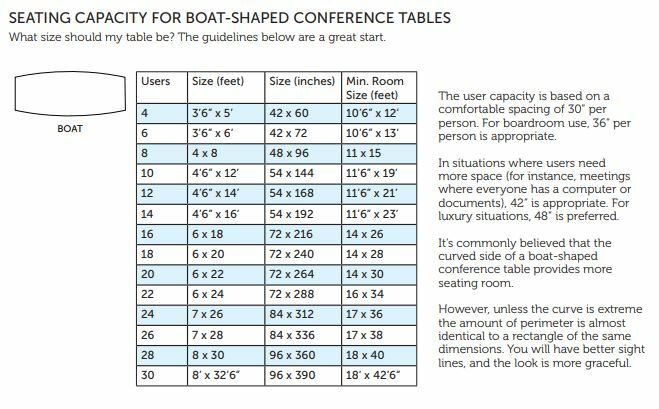 Below is a size/seating capacity chart to give you an idea of the various room size, conference table size, and amount of people that will sit at the table. Rectangular conference tables remain one of the most functional and classic choices for any conference or boardroom. These rectangular conference tables feature table tops with a basic flat shape. Thus, making the work surface suitable for both meetings and employee trainings. What’s more, you can join together the rectangular conference tables to form a multi-segmented conference table. With this, you can easily customize the table depending on your business needs or your conference room’s size. These kinds of conference tables feature convex sides with rounded corners and tapered ends. The slight curve at the tabletop helps the boat-shaped conference table achieve a sophisticated and classy design. These types of tables are perfect for conference rooms that will be used for visual presentations and video conferences. These tables feature rounded edges and sleek lines, thus, making them appealing to the eye. They often feature a wide range of sizes and finishes. Hence, you can choose one that fits your conference room flawlessly. These kind of conference tables are available in both rectangular and rounded shapes. For businesses with smaller spaces, round octagonal conference tables are the ideal option. However, if you have a larger conference room, rectangular octagonal conference table is perfect to achieve the obvious visual impact you always desired. 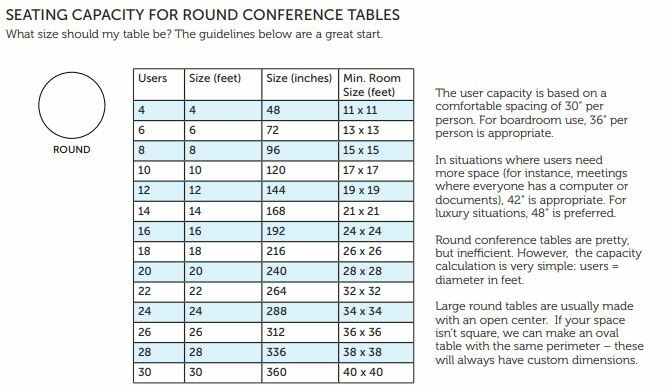 Also referred to as circular conference tables, round conference tables are is perfect for small or moderate boardrooms. A circular conference table can provide enough room for everyone while creating a tranquil and more cordial feel to a meeting. After selecting the ideal conference table, it is important to plan the boardroom. This will help you position the other conference room furniture appropriately. Here are some tips to help you plan your conference room. 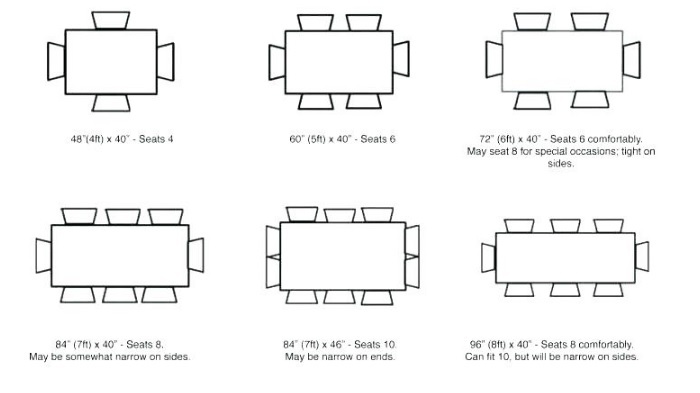 When placing the chairs around the conference table, allocate about 30” for each chair. Leave a space of between 48” and 56” between your conference table and the wall. Also, leave about 60” between your conference table and the wall. Leave approximately 24” between the back of the chair and the wall. This will help you walk easily without any need to turn sideways. If you are using the conference room for visual presentations, leave about 56” between the conference table and the visual display board or easel. Lastly, there should be about 30” of free space between the head of the table and the presentation board. This will enable the person presenting to stand and move freely. For more information about conference table sizes, seating arrangement, and planning, get in touch with us today at Clear Choice Office Solutions. Our experts will be available to speak with you and discuss your options. We will recommend the ideal conference table size that will serve your business meeting needs exceptionally and make your boardroom look stunning. A trial will absolutely convince you. Adding elegance and comfort to an office is one of the top priorities of business organizations. Aside from this, businesses try as hard as possible to create a working environment, which the employees are familiar to. Employees are likely to become more productive when working under a comfortable and familiar ambiance. The Herman Miller Resolve is a human-centered system whereby the workstation is fashioned naturally to enable employees to come and work naturally in the office. This type of office setting imitates the natural world of the workers and offers them a soothing environment to work in. The people feel relaxed and connected working under welcoming, space efficient and innovative Herman Miller workstations. Herman Miller Resolve does not only create comfort at your workplace but adds flexibility highlighting the forward-thinking nature of the business organization. The number of workstations, theme, style of office, the spatial angles and the floor plans will be taken into account when offering you a Herman Miller resolve. There are Herman Miller resolve used office furniture that you can purchase to enable you to add elegance to your workstations. These pieces of furniture come refurbished, cheap and durable to enhance the look and comfort of the workplace. For many businesses especially start-ups, Herman Miller used cubicles is there best bet. At Herman Miller, there is an abundance of top quality cubicles. The cubicles adapt to emerging needs and changes. The Herman Miller Resolve used cubicles are one way to engage the aesthetics of your workstations and save money and reduce carbon footprints, making the environment safe. The Herman Miller used cubicles is one of the most selling cubicles due to the flexibility it adds to workstations and its high quality. They come in different designs, shapes, and colors. You will be able to find Herman Miller new, pre-owned and refurbished furniture conditions that will suit your budget and need. Each business organization believes that a particular visual layout will enable the workers to be more productive. The Herman Miller Resolve layouts studio is a modifiable solution that can help businesses to blend into the ever-changing needs of individuals and people. The layout aims at adding comfort, increasing the environmental safety, induces flexibility and increase choices and the dynamic nature of the landscape inspiring employees to do more work. The Herman Miller design plan is made to improve you and meet your budget. In most business settings, the workforce is unhappy and uncomfortable while working and this can be attributed to the office accessories and desk setup. Productivity can be improved by personalizing the workspace, making it ergonomic and intelligently styled. The type of furniture that you choose for your office should not be based on the size of your budget or the aesthetics but the type that will offer you the best comfort as possible. Here are tips on how to choose the perfect Herman Miller resolve that will add comfort and maximize productivity at a place of work. One of the mistakes that people make is not measuring their office space before ordering for a Herman Miller resolve. Measuring the office space allows you to determine the correct size of office furniture that will fit the workstations. If an office furniture cannot fit the door, it becomes difficult to be brought inside not to talk of fitting the walls and spaces. Prior to buying Herman Miller used office furniture, it is essential to take a correct measurement of the spaces around your office. This will save you time and lots of resources. Some businesses buy office furniture because it looks nice and they consider it a mere decorative tool. If you buy office furniture because it appears fancy, sooner or later you are going to regret this decision. You should buy used office furniture that is functional rather than because of its appealing looks. Buy Herman Miller resolve that will only attend to your needs. It is of no use to buy a desk without drawers when you have large files that require storage. Even if the office furniture is not visually appealing, find the perfect Herman Miller resolve that will offer you solutions. Regardless of the function of the furniture you intend to buy, it is important to keep the style of it in mind during purchase. The style of design of the furniture should reflect the sort of business you are running. You should not buy an antiquated office furniture in a bid to cut costs or because you are eyeing solely on the functionality. 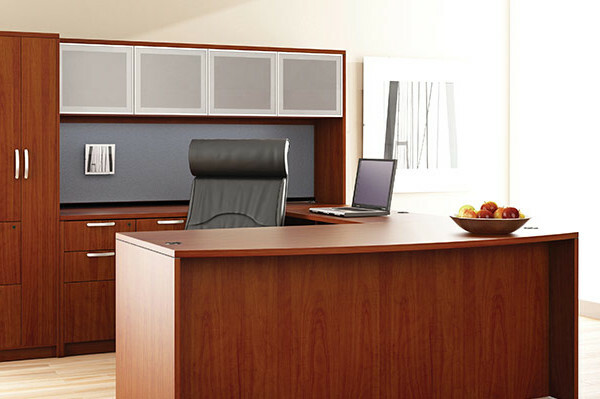 The appearance of the office furniture can make or mar the appearance of a workstation. A modern styled can add elegance and improve the mood around the workplace. It is important to make plans of what you intend to do with space in an office in the future. Some people think of the furniture they need without considering what their future needs will be. For example, some offices will need a larger space in the office than presently and still go for a large desk. They end up buying a smaller desk in the future and spending more money. In order to avoid spending more money in the long run, you have to consider what your future needs will be before buying a Herman Miller used office furniture. The chair that you should choose when buying Herman Miller office furniture should provide you with comfort and adjustable to meet your needs. When choosing a chair go for one that will be ideal for your height, weight and office setting. If you are short, go for a chair, that has enough height and if you have a heavyweight, you should go for a chair that can carry you without damaging. The chair that you should choose should blend with the paint color of the office as well as other decorative elements. Do not go for a chair that will make you spend more than you bargained for. You might not be able to get the office space measurement, the right chair and more correctly. The best you can do is to work with an office-planning specialist. A professional and dedicated office-planning specialist will listen to your needs and seek options to create an office ambiance that is comfortable and increases productivity. Ensure that the office-planning specialist is licensed, reliable and credible before hiring. The person should have talent, credentials, and knowledge about the field. This way you will avoid hiring an unprofessional office planner that will incur costs for you at the end of the day. 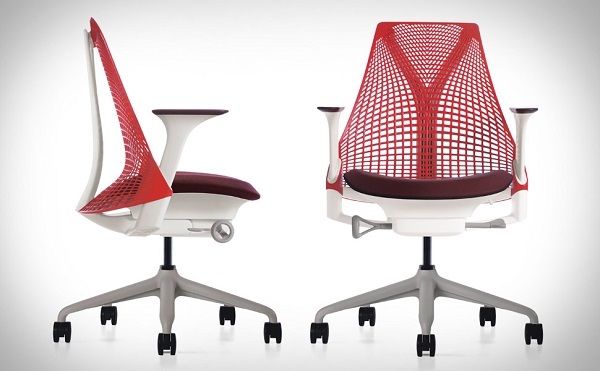 Herman Miller resolve has a varying range of office furniture. There are premium and refurbished furniture. Depending on your budget, you can go for any. For start-ups, it is best to go for Herman Miller used furniture. They are refurbished such that the structure and aesthetics are still intact and appear new. You will be able to save enough money and invest them in other areas of the business. Already established businesses can opt for new Herman Miller resolve and spruce up their office interior, taking the looks to the next level. The comfort of the employees should be at the top of your priority list when choosing a Herman Miller resolve. Your team is likely to be less productive if you equip their workstation with office furniture that does not match their preference. For example of an employee wants privacy and less noise but is working in an open area cubicle there is no way he/she will not feel agitated. It is best to find out how they want their workstation before you choose a Herman Miller to resolve. You can install used crucibles that have high height and soundproof to offer them their personal preference and increase productivity. Huge Herman Miller resolve layouts will boost your team’s morale. Environmental safety should be considered when choosing a Herman Miller resolve. The material the office furniture is made of should be known to determine how safe it is. The office furniture should be easy to clean in order to promote hygiene. Herman Miller used office furniture is easy to clean. For every business pieces of office furniture is one of the ways to make the brand appear professional and motivate the team to be more productive. Herman Miller cubicles and furniture are flexible and of high quality to guarantee you of the sprucing up of your office. Herman Miller resolve layouts are designed to offer people inspiring design to choose and enhance the way they want to work. It revels in bright and personal touches that depict the future of the organization. There is a huge selection of used office furniture that is easy and affordable. Herman Miller is an American company that produces office furniture, home furnishings, and equipment based in Michigan Zeeland. At Clear Choice Office Solutions, your comfort as well as the comfort of your employee is very important to us. We specialize in providing new and used office furniture including desks, chairs, storage, cubicles, and lots more to individuals, businesses, and companies in Houston, Texas, and nearby communities. 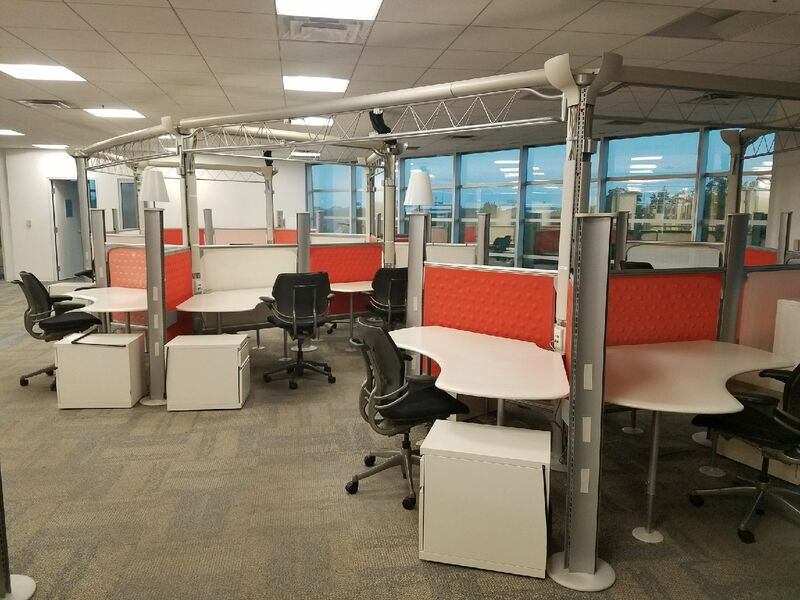 We offer a wide range of high quality used office furniture in Houston and across the country including Herman Miller resolve that provides a comfortable, soothing, and encouraging environment for your employees to operate and collaborate. Our Herman Miller resolve workstations are guaranteed to increase productivity and efficiency of your workforce. Above all, all our new and used Herman Miller cubicles and workstations are made from superior quality materials. They are highly durable and are guaranteed to serve all your office needs for a long time. We offer you workstations and cubicles featuring different design, styles, or color. Irrespective of your budget, office needs, or preference, we have the ideal Herman Miller resolve for you. These workstations and cubicles are guaranteed to give your workspace the fascinating, sophisticated, modern office look you always desired. Are you in search of the perfect Herman Miller resolve workstations for your office? Contact us today at Clear Choice Office Solutions. Our professional team will be available to speak with you and discuss your options. We will provide appropriate answers to your questions and concerns to the best of our knowledge. An amazing experience awaits you. Buying and installing office furniture is one of the ways of increasing the aesthetics of the workplace. It also help in making the workspace more conducive and appealing. Purchasing cubicles can also enhance the comfort and the productivity amongst the workforce. At times, your business establishment can be short of funds to purchase new cubicles. Hence, you inevitably forced to resort to purchasing used cubicles in Houston. Purchasing used office furniture in Houston for your office does not only save you money but adds brilliance to your office. Many people balk at buying pre-owned cubicles in Houston because they think the word “pre-owned” is associated with structural and aesthetic damages. 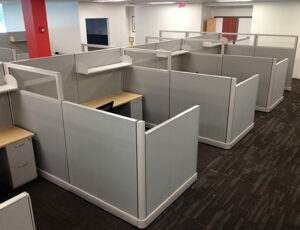 A used cubicle is also refurbished cubicles that are made to appear new again. Refurbished cubicles are cubicles whose structures and appearances have been modified. If you are just starting a business you can begin with purchasing used cubicles as a way to save money that will be used in other areas of the business. Many offices dread on buying used pre-owned cubicles Houston obviously because they do not know the benefits. Probably, you might be able to change your mind after going through the advantages of buying used office cubicles. 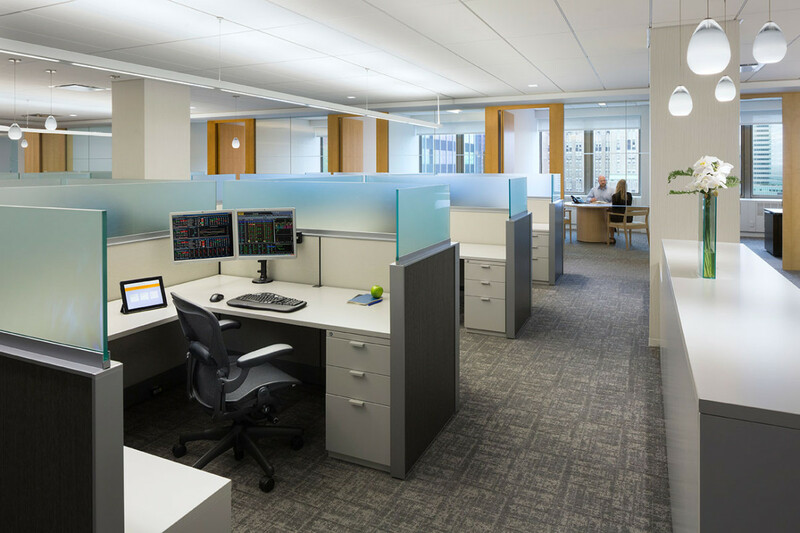 Purchasing used cubicles in Houston is the easiest and quickest way of enhancing and transforming your workstation. They are already cut and pre-designed thereby making installation quick and easy. The costs that are associated with the cutting and designing of new cubicles is easily evaded by buying used cubicles. Used Steelcase cubicles have been used and therefore strong enough to be refurbished and resold. This fact is enough proof that used cubicles will serve you for a very long time at your workstation. Used cubicles, as some quarters perceive are not structurally and aesthetically deteriorated. It is even difficult to differentiate between a new and a used cubicle as the former is refurbished to retain the structure and new looks. While furnishing your office, you might have to wait for weeks before you get the new cubicle that you purchased. This may take weeks or even months. Purchased pre-owned office cubicles Houston are made available to the buyers around forty-eight hours or less. Quality office cubicles that are used which are disposed of are sent to the landfills where they are used by industries thereby creating more carbon footprint. By buying used cubicles, you are preventing them from getting into the hands of manufacturers who utilize them to produce many products thereby polluting the environment in the processes. Purchasing a used cubicle in your workplace can be a way of making the working environment safe for your employees. Used Herman Miller cubicles allow you to furnish your workstations according to your preference. You can change the hinges, change the handles and repaint them to the color of your choice. Most cubicles come with vintage appearances. You can add this effect to your office to add some character. Buying pre-owned cubicles Houston is an arduous process. It requires extremely keeping your ears to the ground to avoid being on the market soon searching for a new cubicle to buy. But it can be very easy once you have all the processes to buy one at your fingertips. 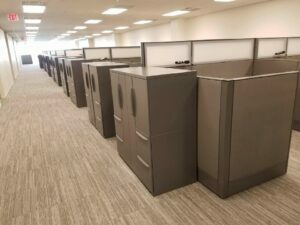 Here in Houston, before you are off to the market to buy used office cubicles, it will pay you more if you sit down and consider the following tips on how to purchase office used cubicles. Most businesses that are still in its infancy do not possess enough funds that will be used to purchase new cubicles and other running costs of the business. A new cubicle in Houston costs an arm and a leg as each one costs between $1,500 and $10,000. A used and refurbished cubicle that possess strong and durable quality can be purchased for a lesser amount. A used cubicle in Houston costs about $200 to $1,200. By purchasing used cubicles in Houston, you can save a significant amount of money (about 80% to 90%) and your business as a whole. It means having more money to spend on employees, insurance and other accumulating costs during the course of the business. You can search for used cubicles in local office furniture stores around. It is pointless to search for a wide for something you can find around you. Before you decide to search far, ensure that you look at every local office furniture dealer within you. This will save you from the expensive costs such as shipping fees, and the damages that are linked with buying outside your locality. You will be able to inspect the office property firsthand before purchase and even strike a better bargain. You can visit an office furniture directory to make a research about the dealer or simply ask friends. Do not pay immediately once you have found the use cubicle that you are looking for in a particular store. The quote of the used office cubicles made to you may seem reasonable whereas there are other stores that will offer you the same quality of used cubicles for a lesser cost. Visit different stores, find out their quotes and compare before you purchase. A credible and reliable used office furniture Houston dealer will read and explain the terms and conditions binding a purchase to you. Some terms and conditions may not be favorable to you and become a problem in the long run. You should be careful to read the terms, conditions, and ensure that they augur well with you in the buying process. The policies should be written in clear terms and made easy to comprehend. Some office furniture vendor will be quick to offer you a warranty and fail to live up to their words when the need arises. They will be attentive to your needs during the buying process, obviously to have your money and do not care about what happens afterward. You will be on a safer side if you should ask the vendor how you would be covered if any damage should come to the used cubicle during delivery/shipping. See if it is time-consuming to get the ordered used cubicles to your office and if there will be an alternative to make up for lapses. Find out from references and reviews about how the vendor has handled similar cases in the past. Do not go for a vendor that will forget about your order during delivery, as it may not bode well for you and your business. While buying a used cubicle you should consider the safety of the employees. Instead of jeopardizing the safety of your employees, all in a bid to cut costs you should go for used cubicles that are still in good shape. Before you buy, the used cubicles inspect the hinges and handle to ensure that they are in good condition. This will avoid injuries at the workplace and the injury costs that follow. Some businesses will not hesitate to buy office furniture that has a cheap price. Everyone, of course, loves a cheap bargain but you should give equal preference to the value of the product. When buying a used cubicle, consider the cost over the life expectancy. For example, a used cubicle that is expected a short lifespan will cost less than those with a longer durability will. This means that you will soon be in the market searching for another office cubicle. It is economical to choose value over price than the other way round as this will save you money in the long run. Before you purchase a used office cubicle, try to evaluate the privacy needed by the employees. Cubicles come in different shapes and sizes and each of them is important in determining the level of privacy that the employees will have. If your team requires seclusion and silence, you should go for cubicles with higher walls. If the employees are more concerned about teamwork and not bothered about privacy you can go for those with open space. The tips described above will aid you to choose the perfect used cubicle for your office. Purchasing used cubicles in Houston requires creating a checklist. You do not just have to walk into the market and buy whatever office furniture you see. Once you are in the market you should be able to remember and stick to them. These guidelines will aid you to circumvent wasting money and save more to enable you to run your business very well. Ensure that you choose quality over price and buy from a trusted office furniture dealer. By doing this, you will be buying quality used Herman Miller cubicles or used Steelcase cubicles for your Houston office. At Clear Choice Office Solutions, we offer superior quality products and services. Always turn to us whenever you plan on purchasing used cubicles in Houston. We can supply your Houston office with superior quality pre-owned cubicles. We can also provide other types of used office furniture including chairs, desks, storage, and lots more. All our used cubicles in Houston are affordable and made using high-quality, durable materials. These cubicles also features various designs, styles, and colors. Whether you want to settle for used Herman Miller cubicles or used Steelcase cubicles, we can make them available. Regardless of your choice, our office cubicles will enhance your workspace and provide your employee the ultimate comfort. These pre-owned cubicles in Houston are guaranteed to improved efficiency and productivity. Are you planning on purchasing used cubicles in Houston to smarten up your new office space? Contact us today at Clear Choice Office Solutions. We are in business to make your workspace look fascinating, exquisite, and classy, even when you are on a tight budget. Our expert team will be available to speak with you to discuss your options. We will provide appropriate answers to your questions and concerns to the best of our knowledge. We serve both individuals and businesses in Houston, Texas and nearby communities. We guarantee you excellent services. The furniture installation process that you employ will determine the greatness or otherwise of the concept of your office furniture Arcola, Texas. People think installation process is as easy as memorizing the alphabets, but it will take an expert to get an organized concept that will bring out the beauty and deliver the concept that your team need to perform at their ultimate best. You cannot do it on your own if you want a perfect arrangement that will give you the peace of mind that you desired. The arrangement of the office furniture has gone beyond the idea of arranging lockers; chairs and desks. We now have the millennium arrangement which can best be handled by the experts. The money you spend extra in contracting the pros that will help in putting the office into top shape will definitely pale into insignificance when they are through with their inputs. The results that you will get will definitely wow you in as much as you employed the service of the best hands in the notch. The quality that will give you the best that you so much needed cannot be found simply by strolling through the web pages of some of the companies. You need the benefit of some hindsight before for you to know the choice that will best serve your interest. You will need ample time to find out the best among the lot; however, if you do not want to pass through the stress of investigating every office furniture company that is around Arcola, Texas; then you can be trusted Clear Choice Office Solutions. You will have all your desires met; they have been in the business long enough to be referred to as masters in the business. When you get online; you will see a lot of awe-inspiring claims posted on the web pages by office furniture companies in Arcola, Texas. Check out most of these sites and you find out a common trait; carefully worded sales contents that will sway the best brains around if he goes by the strength of what was written on the site. You have to be clever enough to understand that most of what you see on the sites of these companies is targeted at getting the patronage of everyone that visits the site. We even have fake reviews included in the mix all in the bid to get the customers to their side. If truly you want an office arrangement that will save you money and space; one that will deliver the best working environment that will make your staff give in their productive best; then you need credible company in the midst of the numerous choices around Arcola, Texas. One of them clearly stands out among the best. If you want a company that has something to show for their efforts in the industry; then you have to give it to Clear Choice Office Solutions. Clear Choice supplies new and used office furniture. It is highly recommended by other buyers of office furniture. No company can give what they do not have. If a company will truly become great; the investments in the human and material equipment should be solid. When there is the provision of the state of the art equipment to work with; then you have no fear about the ability to carry out a perfect installation for that millennium office of your dreams. There should be proven evidence of investment in human resources. When the staffs of any of the companies in Arcola, Texas invests handsomely in the welfare and training of their staffs then you can get the assurance that they will give the best at all times. You need to connect with companies in that category if you want to get the best of results. Clear Choice Office Solutions is ahead of other competitors in that regard. The terrain needs a big capital investment inputs in both material and human resources and it is only the companies that invested heavily in this direction that can boast of the expertise that counts when they are called to deliver that perfect concept that will bring the smiles to your face. You must test and verify that this is in place before you trust any of the service providers around Arcola, Texas. You will surely get quality from Clear Choice Office Solutions. The installation that will take place in the office will definitely involve several companies. They come with differing technologies. Some of the models need special handling in the installation process; or else there will be issues. We have heard stories of technicians whose unprofessional handling of fragile equipment during the process of installation ruined the equipment completely and a fresh order has to be made to complete the cycle of installations. You definitely deserved a better deal; to avoid such embarrassment; you have to be careful in your choice of company. The majority of office furniture suppliers will tell you that they have what it takes to deliver the best installation in your office that will wow your staffs. Are you to believe them on account of their testimonies? You will better off if you put every claim of theirs to the test and see if there is an element of truth in them. That is the way to go about it if you truly want the best. The furniture in the office will affect the outcome of your set goals and objectives and hence the need for office furniture Anahuac, Texas that bring out the perfect office setting that boosts the goal to achieve excellence. Any employer of labor that wants to get the best out of his workforce should provide the enabling environment for excellence to be achieved. The office environment should have some element of creativity introduced into the setting if you do not want your staff to get bored during the office hours. The office furniture should give the staff a creative environment to enable them deliver the quality that will help bring out the best. A lot is involved if really you want to get hit the nail at the head and not every furniture company can deliver on the quality that will give your staffs the enabling environment. Today’s online buyers do not have the time to carry out a credible search that will enable them to get the best among the several choices that they are going to meet online. There are diverse sales gimmicks online today and only those that have the benefit of hindsight are able to puncture the lies of some of the furniture companies. A lot has gone into the realm of sales marketing. The majority of the furniture companies devote a large part of their time to create exciting sales letters that are so attractive and compelling; in a way that will sway any CEO to commit to their brand. Some companies have lost huge sums of money in their bid to get quality office furniture. Why must you spend money changing the furniture on a yearly basis? You can get a better deal if you link up with a credible service provider. The quality is rare to come by. Why should you invest your time in a search that leads to nowhere? A look among the companies in furniture business around Anahuac, Ames, Texas shows that only a few companies among the pack stand out. If you want office furniture that will deliver creativity to your staff; then you must look for a reliable office furniture supplier in Anahuac, Ames, Texas. It should be a firm that offers something special that places them ahead of the rest. This quality delivery will give you a peace of mind. The ideology behind any business is very important if you are to get the best from the company. There is many furniture businesses online today that prides themselves on being the best available in the notch. Before you believe any of the stuff that you read on their web pages; you should ask the question: ‘Who is behind the modern office furniture Houston? There are some businesses whose CEOs are only in the business because of the gains. In such businesses; the CEO knows next to nothing about the technicalities involved in the business; what they boast of is the money; their investment money is the only qualification that they can boast of. You will not get a fair deal from such companies. However; there are some CEOs who have the expert knowledge in the field and they put this experience to use in their approach to business. You will get the desired quality of companies in this category. When an objective analysis of the companies in this category is taken among the office furniture companies around Anahuac, Ames, Texas; one among them stands out distinct. They have marvelously put everything together in a way that will deliver the excellence that will give you desired peace of mind. You will get something special and creative from a reliable office furniture supplier such as Clear Choice Office Solutions if you give them the go-ahead to supply your office furniture. There are two ways that we want to look at this regime of price adopted by some of these furniture companies. For some of them it is the belief in a high price tag on all their models. This they do to deceive their prospects into believing that they have invested more in the technology of the office furniture. Your best bet in office furniture should not cost your company a major part of your budget. There is room for an affordable office environment if you are able to link with a credible furniture company. Another approach that you will get to see online from some of the furniture companies is a price regime that sounds too low to be believed. People love freebies; that is the weapon adopted by some of the companies in the notch to get the customers. They will come up with a price that sounds too good to be believed; those that fall for that will get an inferior quality in their quest for an office furniture that they want to be proud of. If the price is too high; it represents a rip off; if the price is too low; you cannot get the quality that will give you value on your investment. You can get the best office furniture at a price that is affordable. No matter your budget; there is something for you if you link up with the right company. There is quality for everyone that hires a reliable office furniture dealer. They bring something very special that rates them apart from the rest in the notch. New office furniture makes your office space look exquisite and appealing. However, they come at a cost. There are situations whereby budget constraints and a couple of other factors make it impossible to purchase these new pieces of furniture. As these office furniture are essential to your daily business operations, you may not be able to wait until you are buoyant enough. Hence, buying used office furniture in Houston may be the perfect alternative. Whether you are moving into your new office space or redesigning your office to give it a new look, you can also consider purchasing used office furniture or used office chairs in Houston. 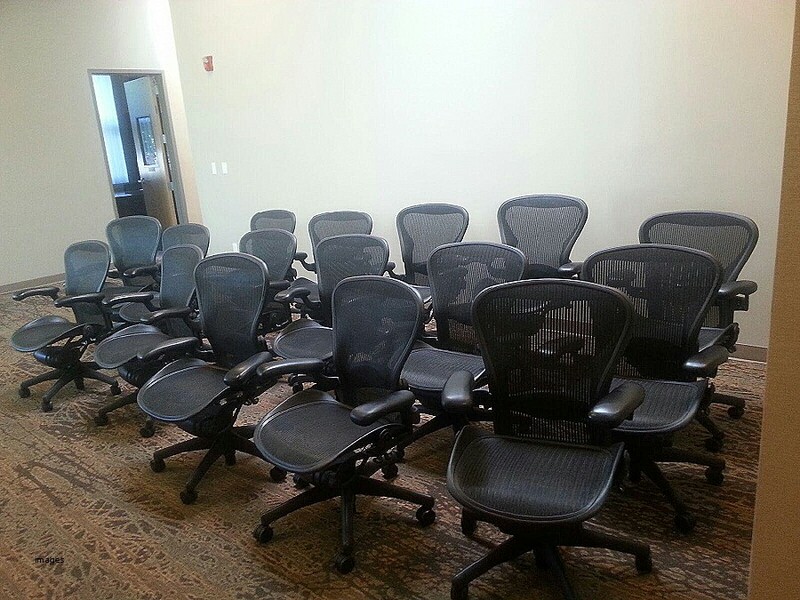 Purchasing used chairs or used cubicles in Houston makes it possible to save cost. By doing this, you can allocate resources to other aspects of your business. 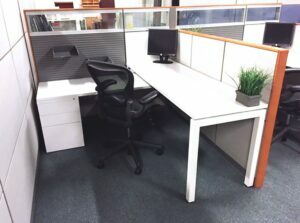 Provided you buy durable, high quality used office furniture in Houston; you can still get all the perks and benefits offered by new office furniture. However, it is essential that you think critically before buying the used office chairs or used office desks in Houston. Failure to do so will only get you substandard commercial office furniture which may not serve you for long. Within a couple of months, you are already on the market for new furniture. Clear Choice Office Solutions, your reliable provider of commercial office furniture in Houston, is here to bring you professional tips on how to buy used office furniture in Houston. Before making any business purchase, it is essential that you make a budget. Same also applies when buying used office furniture. Used office furniture are usually less expensive. Nonetheless, you can still incur a huge bill if you are not prudent. Hence, it is essential that you plan wisely. Create a budget of the amount of money you are willing to spend on the purchase. Ensure that you do not deviate from it. Only look for used office furniture that are within your budget range. If not, you will only find yourself going overboard as you get fascinated by what you see. Once you can make a budget and stick with the budget, everything should turn out fine. Marketers and sellers can go to any length to promote their products. When purchasing commercial office furniture in Houston, ensure that you do not fall for the marketing hype. For instance, when buying used office chairs in Houston, the seller can claim that the chair is ergonomic. As a matter of fact, this does not mean that the product is of high quality or guaranteed to offer you comfort and safety. Take a look at the furniture and ensure that it meets your standards and can serve your needs. With this, you will be buying based on your office needs and not what the seller tells you. Your decision to purchase used office desks in Houston means you are probably on a budget. In a situation like this, you must be able to differentiate between what you want and what you need. Some office desks or other furniture can make your office looking exquisite and visually appealing. However, they may not be what you need. Ensure that you are not buying the product just to furnish your office space. Only buy used office desks or used office chairs in Houston that are essential to your business needs at that point. Take time to decide the office furniture you must have now and those that can wait till later. With this, you can be sure you are making the right choice. Every year, several employees sustain mild and major injuries from unsafe office chairs. An excellent example of this is office chairs that tip over. Rather than risking the life of your employees while trying to cut cost, only go for used office chairs that are comfortable and safe. Inspect the chairs thoroughly to certify that they balance on the ground firmly. Check for nails or edges that can cause injuries. With this, you can be sure that you are buying used office furniture in Houston which is safe for use. The Houston furniture marketplace is filled with lots of used office furniture sellers, dealers, and brokers. Unfortunately, some devious furniture companies and sellers deal with inferior products. They rebrand low quality used office furniture to make them similar to leading brand names such as Herman Miller, Steelcase, and so forth. Your little knowledge about used office furniture can make it impossible for you to differentiate. You are concerned with the budget-friendly price which you are being offered by the furniture seller. Knockoff products are basically an imitation of the real product. They will not serve you as the original product. Ensure that you steer clear of knockoffs. Only purchase quality commercial office furniture in Houston. What’s more, a lot of individuals are of the habit of focusing on price alone when buying used office furniture. This is a huge mistake as it can only get you low-quality office furniture. Try as much as possible to focus on quality. If not, you will end up searching for another furniture before the year runs out. Check out the quality of the material used for making the cubicles. Look for possible defects or areas that have been patched on the desk. You can also shop for chairs that feature high-density foam padded seats, and quality wheels. With this, you are confident that you are getting used chairs, desks, and used cubicles in Houston that will serve you for an extended period. Furthermore, when buying used office furniture in Houston, don’t be fascinated by the product photography you see online. The seller already knows that buyers are impressed by what they see online. Hence, the product images will never reveal the flaws or defects in the furniture. To avoid such mistakes, take time to look at the furniture in person. Try as much as possible to inspect the office furniture thoroughly before you buy it. See it with your own eye, touch it, and feel it. In an ideal scenario, the seller should allow you to do this unless the furniture company is trying to be unscrupulous. With this, you are purchasing used furniture you are sure about and not solely from the images you saw online. When it comes to buying used cubicles in Houston or other office furniture, you have little knowledge or experience. To guide you and ensure that you are making the right decision, you can seek the help of a professional or expert designer. The idea is to work with someone that already possess years of experience and skill in interior design. The professional will help you decide the type and style of office furniture that will look best in your space and serve all your office needs. Asides that, the professional will use his or her knowledge over the years to differentiate quality furniture from inferior ones. The little time or money you spend on consultations will ensure that you are making the right decision. When you talk to someone else, especially, an expert the used office furniture you plan to purchase, you will get some excellent ideas you never imagined. This will also save you from the cost of purchasing or sourcing for another furniture before the year runs out. One important question you need to ask the furniture company or seller is where the furniture is coming from. Other questions you should also include: How old is the furniture? Where was it used and stored? How was the desk previously used? Has the chair been repaired before? This will give you a good insight into the condition of the furniture. You will also know more about its service life, depreciation, or any wear and tear the furniture may have suffered. All these will guide you in choosing the right product. You will also be able to avoid a piece of furniture that has a history for damage and repairs. When buying commercial office furniture in Houston, documentation is very important. Try as much as possible to get all transactions and deals into writing. In the event that you are paying for the furniture in installments, ensure that all payments are well documented. This will help in protecting you from possible problems that can arise later on. Finally, the fact that you are sourcing for used office chairs and used cubicles in Houston doesn’t mean you should buy products without adequate coverage. In the event of possible damage, will you be responsible? Repairing major damages to used office desks in Houston can be quite expensive. For this reason, work with a furniture company or seller that will give you a guarantee against major defects, even if it is limited. Obviously, you cannot expect to get the same guarantee you will get when you buy new office furniture. However, the limited guarantee can still give you the needed peace of mind that irrespective of what happens, you can be covered to some extent. There you have it! Above are a couple of tips to help you purchase quality used office furniture in Houston, TX. 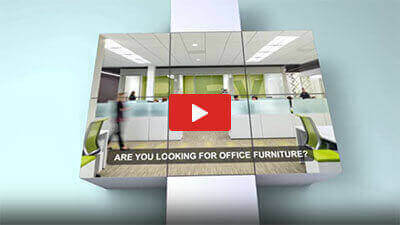 Sourcing for used office furniture requires critical thinking and decision making. You’re your options open, shop around, and be selective. You don’t have to purchase the first product you see. With the tips above, you can buy used office furniture that will create a conducive workspace for your employee. If you are lucky enough, you may not need to shop for office furniture for several years to come. At Clear Choice Office Solutions, we provide quality products and services. We can provide your Houston office with superior quality used office furniture including desks, chairs, cubicles, storage, and so forth. These used office furniture are durable and made using high-quality materials. They will help enhance your office and offer your employee the needed comfort. Thus, you can expect improved efficiency and productivity. In addition, we give a guarantee on our commercial office furniture in Houston. They are certain to serve all your office needs for many years to come. We have a collection of used office furniture in Houston that features various designs, styles, and colors. Our used office furniture are very affordable. No matter your budget or preference, we have the right furniture for you. We are in business to make your office look amazing, exquisite, and sophisticated, even when you are on a tight budget. Are you planning to purchase used office furniture in Houston to spruce up your new office space? Contact us today at Clear Choice Office Solutions. We can help you efficiently and safely source specific designs, models, and colors of office furniture.